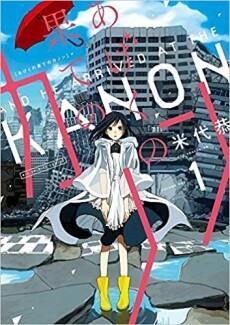 The world has been invaded by aliens and most of mankind was driven underground, but in a town where it rains incessantly, a young girl named Kanon Kouzuki has other things on her mind. Being one of the few civilians to remain living and working above ground, she is now reunited with her unrequited love turned alien fighting celebrity Sousuke Sakai. Her eyes now completely fixated on him, she starts to notice new things about her loved one. Will he be the same boy she fell for once upon a time, or will he have turned into a completely different person?